Dr. David Aizuss enjoys wide recognition as one of the premier ophthalmic surgeons in Los Angeles. 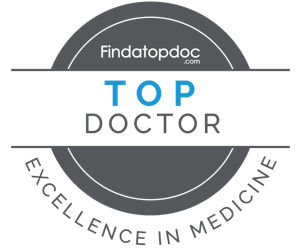 Other physicians have recognized him with his inclusion in the renowned Guide to Top Doctors. Dr. Aizuss has been in practice in Encino and West Hills for over 30 years. In that time he has become noted as one of Los Angeles’ best-known and most professionally active ophthalmic surgeons, having served as Chief of Surgery at Encino Hospital and Vice Chief of Staff of Encino-Tarzana Medical Center. The LA County Medical Association’s (LACMA) Patient Care Foundation is honoring Dr. Aizuss with the Independent Physician Leadership Award in November 2017. Click here to read more about this accomplishment. He has been honored by the American Academy of Ophthalmology with both its Honor and Senior Honor Achievement Awards. Dr. Aizuss is Assistant Clinical Professor of Ophthalmology at the Geffen UCLA School of Medicine. Recently, Dr. Aizuss was voted the “People’s Choice” ophthalmologist in 2008, 2009,2010, 2011 and 2012 as well as being named by other physicians as a “Top Doctor” they would choose for themselves or their family in 2008 through 2019 inclusive! Dr. Aizuss was name “Super Doctor” in 2007, 2008, 2010, 2011, 2012, 2013, 2014, 2015, 2016 & 2017. Most recently he received the Most Compassionate Doctor award and On Time Doctor awards! Doctor Aizuss was notably named to the Council of 100 for the American Society of Cataract and Refractive Surgery which recognizes him as a top influencer of medical society policy development. He was selected by a vote of his peers to be included in Los Angles Magazines Top Doctors in 2019. He was inducted into the Super Doctor’s Hall of Fame for being voted Super Doctor for 10+ consecutive years. Dr. Aizuss has also been featured in the Spring 2019 edition of EYE which you can view here. He is sought out as a speaker on new intraocular lens implants and techniques, and consults nationwide with other surgeons as well as with investment and venture capital companies interested in the latest ophthalmic surgical technology. Dr. Aizuss is married with two daughters both of whom are undergraduates at the University of Chicago. He is recognized for his warmth, good humor and congeniality by both his patients and fellow physicians and he looks forward to taking care of you and providing you the best there is in ophthalmic medical and surgical care. An ophthalmologist, such as Dr. Aizuss, is a medical doctor who specializes in eye and vision care and perform surgery on the eye. Ophthalmologists have extensive training and expertise in performing eye exams, diagnosing and treating disease, prescribing medicines, and performing eye surgery. They also write prescriptions for eyeglasses and contact lenses as well as medications to treat the eye and related ocular disease. Dr. Aizuss has added training having completed a fellowship in Cornea and External Disease of the eye which included corneal transplantation and refractive surgery. Optometrists are allied health care practitioners who have earned the Doctor of Optometry degree. They are not medical doctors, have not attended medical school, do not have an MD degree and have not undergone the advanced hospital based training for a minimum of four years after medical school. Optometrists graduate from optometry school, not medical school. Optometrists examine eyes for both vision and health problems, and prescribe eyeglasses and contact lenses to correct refractive errors. Optometrists can prescribe some medications for eye diseases and eye conditions. Optometrists do not perform eye surgery. Both ophthalmologists and optometrists are required to fulfill continuing education requirements on an ongoing basis to maintain their licensure and to stay current with industry trends and changes although the requirements for ophthalmologists to maintain their licensure and board certification are far more intensive and stringent compared to that of optometry. Do I need to see an ophthalmologist for an eye exam? Because of the extra training involved in becoming an ophthalmologist, they are more experienced in spotting the kinds of conditions that can affect a patient’s vision, such as macular degeneration or glaucoma. They also have the surgical expertise to then surgically correct problems, if necessary. Both optometrists and ophthalmologists perform routine eye exams and can prescribe the necessary eyeglasses or contact lenses. Patients who do have specific medical eye conditions, such as macular degeneration or cataracts, should see an ophthalmologist in all cases. What are common procedures performed by an ophthalmologist? Why should I choose Dr. Aizuss as my ophthalmologist? In practice for over 30 years, Dr. Aizuss is recognized as one of the premier ophthalmic surgeons in Los Angeles. He has served as Chief of Surgery at Encino Hospital and Vice Chief of Staff of Encino-Trazana Medical Center. He served his residency at the world-renowned UCLA Jules Stein Eye Institute. He is fellowship trained in corneal and refractive surgery, with specialization in cataract surgery, corneal transplantation, and all types of LASIK and refractive surgery. Additionally, Dr. Aizuss has served as president of virtually all of the eye and medication associations in the Southern California area and is presently the President of the California Medical Association. He is widely recognized for both his patient care skills, advocacy efforts on behalf of patient care and leadership in medical policy. His expertise, training, and clinical experience are second to none. How often should I have my eyes examined with Dr. Aizuss? Early diagnosis and prevention is key to heading off many serious eye conditions such as glaucoma. That’s because many eye conditions don’t exhibit any symptoms until they have already begun to permanently damage the patient’s vision. People can go a decade or more without having their eyes checked, and this is really a risky approach. This is particularly true after a person has had his or her 40th birthday. Children 5 years and younger — Children under three should see a pediatrician to check for the most common eye problems, such as lazy eye. Otherwise, children between 3 and 5 should see a pediatric ophthalmologist for their eye examination. Dr. Aizuss sees children age 10 and over. He will only see younger children on referral or by special arrangement.